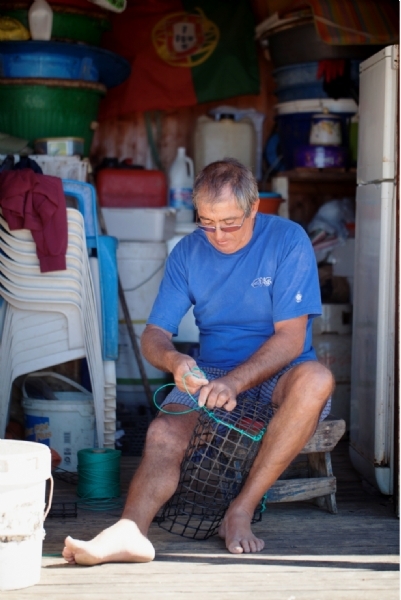 The traditional way of life still exists for many of Portugal’s fishermen - even in tourist hotspots like the Algarve. Paul Rouse reports. 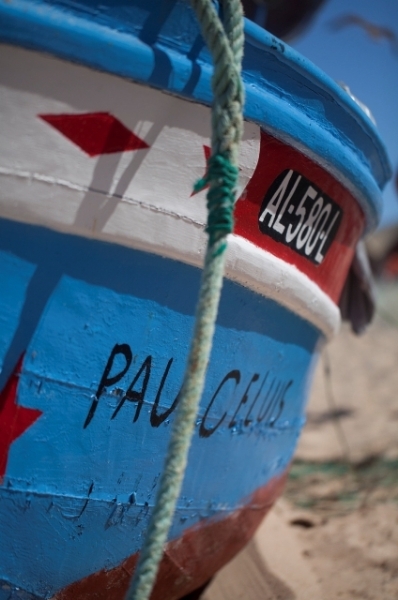 Despite the onset of modern fishing methods, commercial-sized vessels and EU quotas, the sight of brightly-painted hand-built wooden boats - stashed to the gunwales with the morning’s catch - being hauled up onto a near-deserted beach by men with skin the colour and texture of teak, is still there to be witnessed in many parts of southern Europe. But whilst you might expect to come across this decades-old scene on a stretch of as-yet undeveloped coastline in the Aegean perhaps, or on one of Italy’s more remote volcanic islands, it’s still something of a surprise to see it happening within sight of the manicured golf courses and million-dollar holiday villas of the Algarve. 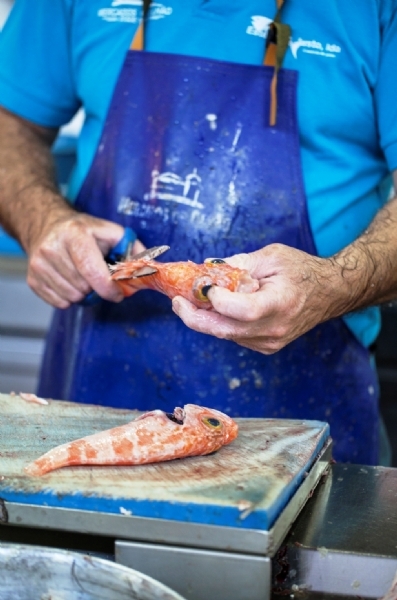 Hemmed in by mountains and its arch-rival Spain, and boasting almost a thousand kilometres of Atlantic coastline, Portugal’s history has inevitably been dominated by its relationship with the sea, from the famous explorers of the country’s Golden Age to the generations of humbler souls who have spent their lives catching, selling, processing - and of course cooking and eating - fish and seafood. It’s been said that there is a recipe for bacalhau - the Portuguese national dish of dried salted cod - for every day of the year. 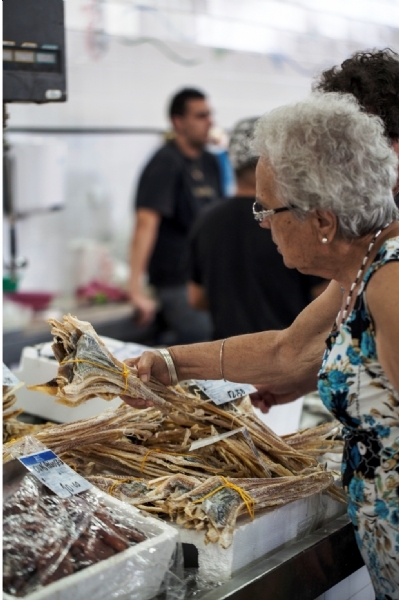 Wander through the stalls at one of the Algarve’s main fish markets such as Olhāo however, and it seems like there are at least 365 types of fish - some familiar, some which seem to have come from another planet. Which, depending on your definition of the deeper parts of the ocean, could well be true. It’s a fascinating experience and a true assault on the senses in all respects: sights, smells, sounds, touch and taste. 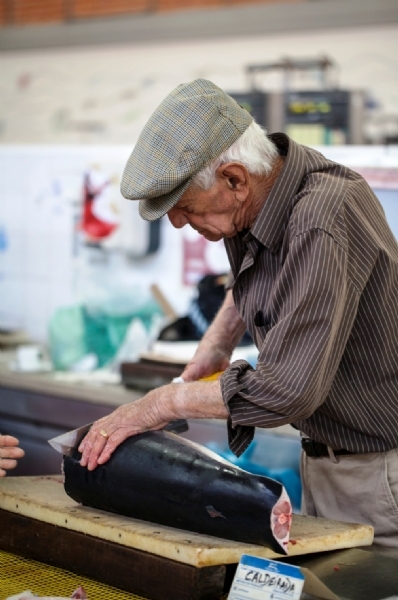 Tuna steaks the size of your thigh being carved to order, glistening prawns and clams being scooped up for weighing, pungent aromas, salty tangs, shouts of haggling, shrieks of banter, and exchanges of coarse but good-natured abuse. Even if you don’t understand a word of Portuguese, it’s easy to see where the term ‘fishwife’ came from. This free show (unless you’re buying their wares) is put on six days a week, year-round, from early morning until about midday, when everything stops for lunch. If you’re lucky enough to be in the Algarve in August though, it’s also worth a trip to the annual sardine festival in Portimāo or the seafood festival in Olhāo: all-you-can eat gastronomic extravaganzas enlivened by music, dancing and entertainment that will provide you with a host of photographs and memories, and a glimpse into a very non-touristy Algarve. Everybody is made welcome, naturally - the Portuguese reputation for friendliness is well-deserved. But these are first and foremost events for the locals, by the locals, a celebration of a way of life, and a love of the produce of the sea, that dates back beyond Roman times. So if you’re a hungry visitor, eager to learn, where do you start? Like being faced with a host of unfamiliar names and grape varieties on a Portuguese wine list, a trip to a local market, supermarket or restaurant could see you scratching your head over the bewildering choice presented to you. 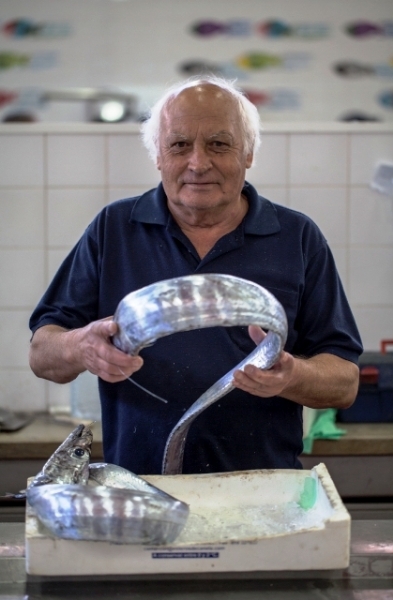 Sardines and mackerel, together with clams, prawns, mussels and crab, are among the more popular catches in the Algarve, with an abundance of ways in which they can be served. 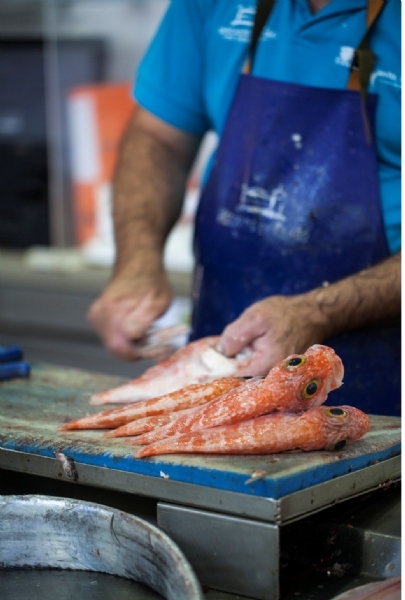 Try some of our recommended restaurants (see below) and you’ll understand why the Portuguese eat more fish and seafood than almost any other nation in Europe. Portugal is world-renowned of course for sardines of the canned variety, but tasty as they may be back at home, the best way to enjoy them in situ - overlooking a golden beach or picturesque fishing village in the Algarve - is freshly cooked on an open grill, served with a simple salad and boiled potatoes in garlic butter. 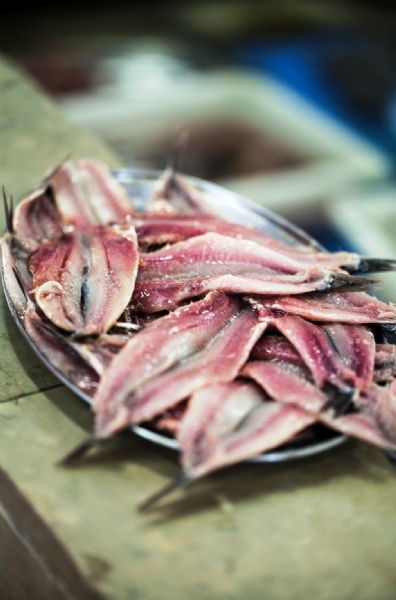 Dourada (golden bream) and robalo (seabass) also feature prominently on many menus here, together with polvo (octopus), lulas (squid) and tamboril (monkfish), whilst words to look out for include caldeirada (a fisherman’s stew similar to the French bouillabaisse), arroz (rice, a key component of many hearty fish and seafood-based dishes) and cataplana, the hinged copper pan, not unlike a double wok, that gives its name to a variety of stews based around the catch of the day. 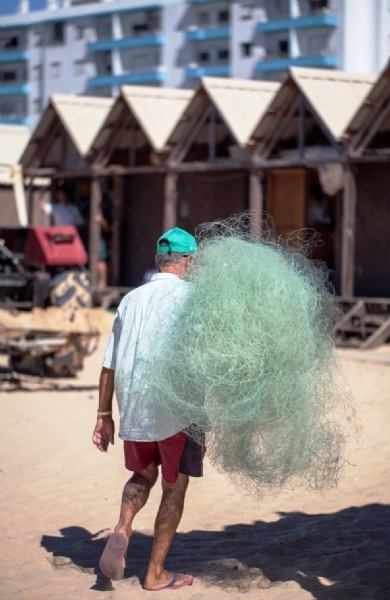 In addition to the larger fishing ports like Olhāo, Portimāo, Tavira and the regional capital (and airport gateway) Faro, so-called ‘artisan’ fishermen - who make up an estimated 50% of Portugal’s total figure - can also be found in smaller pockets along the coast. 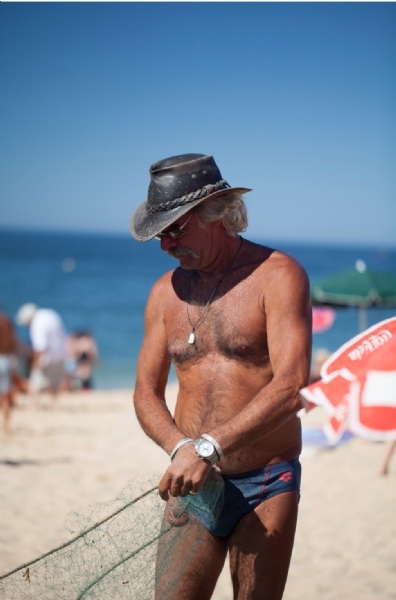 If you’re an early bird, you might catch them on the beach at Armaçāo de Pera, just west of Albufeira, bringing in the catch, mending their nets, or chatting over a game of cards or dominoes in front of their huts. Even more traditional, and almost caught in a time-warp, are the shanty-house, vehicle-free islands like Culatra in the Ria Formosa nature reserve, just off the coast of Olhāo, where little seems to have changed for years. A delight to visit, not only for their great fish restaurants and never-ending beaches but for a glimpse of a world that you thought was long gone, these are true working fishing communities, and whilst picture-perfect from the point of view of the holidaymaker and postcard manufacturer, it’s evident that whilst the locals’ lives might seem relatively simple and uncomplicated, the reality is often a lot tougher than that. Like everything these days, fishing is one of those industries that is increasingly controlled by rules and regulations, commercial pressures and market forces, all of which have had an impact on the old way of life. Younger generations have moved on, or away, turning to less arduous ways of making a living in the towns, cities and tourist resorts, and some of the region’s largest canning factories, which in their time employed hundreds of local workers, have closed, metamorphosing into modern edifices now housing museums (in the case of Portimāo for example) or conference centres (Ferragudo). But abandon the sunbed for a few hours, put down the golf clubs, and make an effort to find the real Algarve, and it’s still very much there. Trips to the islands of the Ria Formosa cost a few euros, with regular ferry services from Olhāo, Tavira and Faro, or make your own way there via water taxi or private boat. Set the alarm clock and head down to a beach or harbour near you to see the fishing boats coming in as the sun comes up, and try to practice a few words of Portuguese with the locals. Or just seek out a great fish restaurant, of which there are many along the entire stretch of coastline, and enjoy the fruits of somebody else’s labours. The mariscada, or mixed seafood platter, is amazing - and great value for two (very hungry) people. A seafront location, superb value for money, and barely a non-Portuguese in sight. The locals always know best. It’s worth the long drive to the west coast just for the incredible beach - finding a lunch venue like this is an added bonus. Despite being inland, it's the oldest/most famous seafood restaurant in the Algarve, and never disappoints. Choose your own crab from the tank and enjoy.